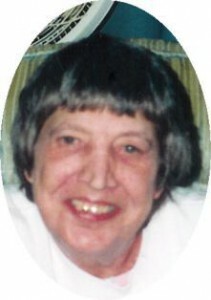 Rosemary M. Brydon, 68, of 1300 W Lincoln Avenue Port Washington died at her residence on Saturday, June 19, 2010. She was born February 9, 1942 in Port Washington to John and Cecelia Zipperer Prom, growing upon a farm in the Town of Port Washington. She later moved up the the Eau Claire area for many years and most recently had lived in Oconomowoc until moving back to Port Washington in 2006. Over the years she worked as a housekeeper at various hotels and private homes. She was an independent, strong and smart woman who enjoyed living a simple life. She enjoyed country music and had a strong love for her cats, especially “Snow”..
She is survived by her siblings Donald (Pat) Prom of the Town of Port Washington, Kenneth Prom of Oak Creek, Gerald Prom of Whitewater, Delores (Jim) Tenpenny of the Town of Port Washington and Bernadine (Richard) Fritsch of Richfield. Further survived by nieces, nephews, other relatives and especially her kind friends at Lincoln Village. Preceded by her husband, step-brother Robert Neuman, brother James Prom, nephew Jeffrey “Shorty” Prom. Rev. Thomas Lijewski will celebrate a Memorial Mass 6 pm Thursday, June 24, 2010 at St. Peter of Alcantara Catholic Church, 1800 N Wisconsin Street, Port Washington. Visitation 4 – 6 pm Thursday AT CHURCH. Interment parish cemetery. Memorials appreciated.